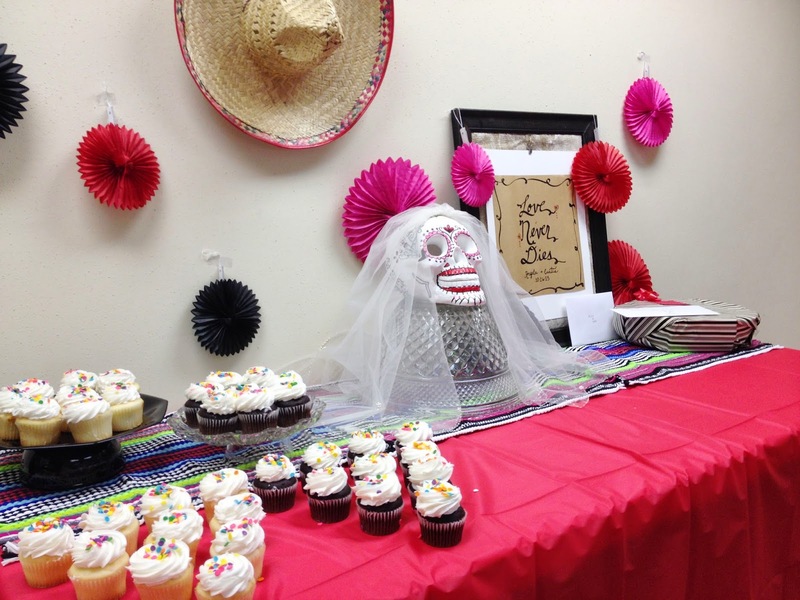 I'm just popping in to share some photos from a little bridal shower I helped with at work this week. 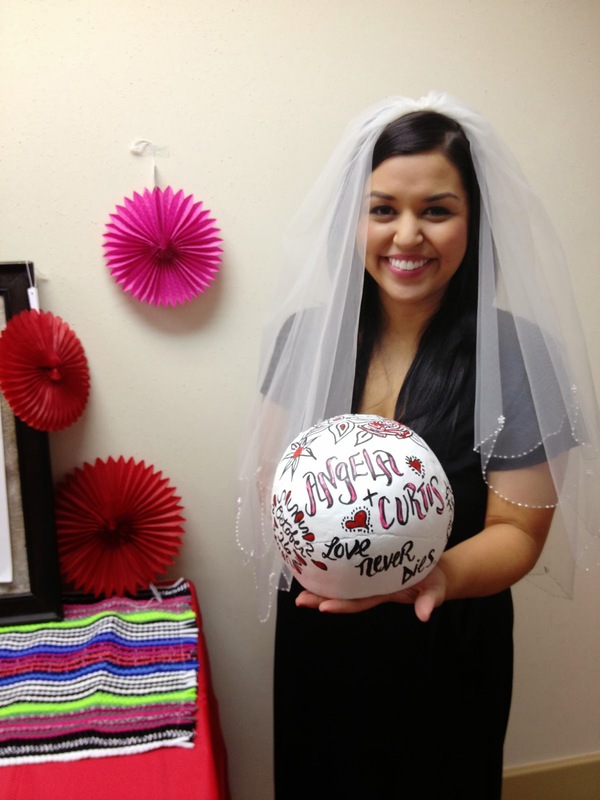 Office bridal showers are pretty low key, but we had some fun with this one. 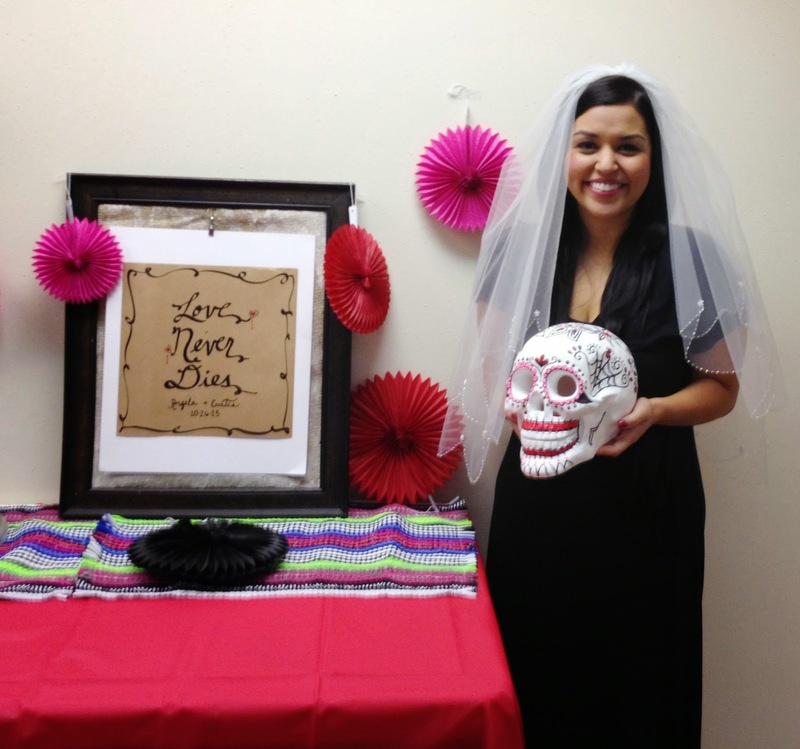 Our friend loves both Halloween and Dia de los Muertos (Day of the Dead); so much so, in fact, that she's having a few spooky touches like a skeleton groom's cake at her Oct. 26 nuptials. We thought this would be the perfect opportunity to embrace one of her favorite holidays and have a unique bridal shower! 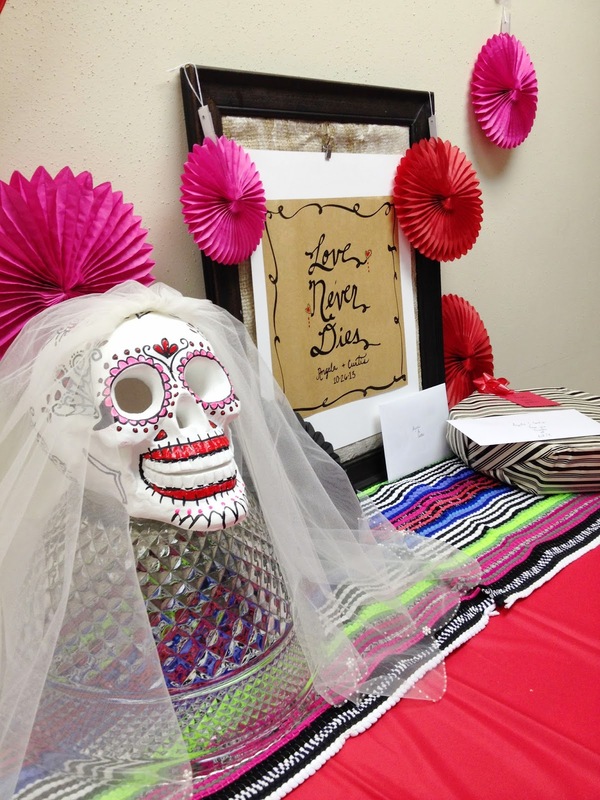 It's not a Day of the Dead party without a fancy skull! 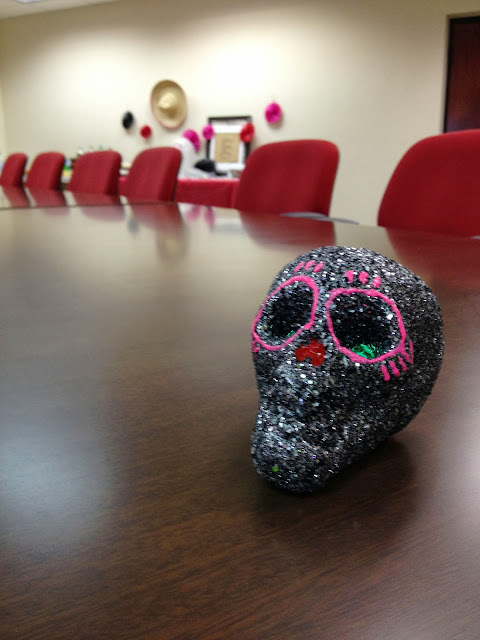 I bought this plaster skull at Michael's and used some craft paint to customize it. The back features the names of the bride and groom, their wedding date and a couple creepy love sayings: "Love Never Dies" and "Til Death Do Us Part." 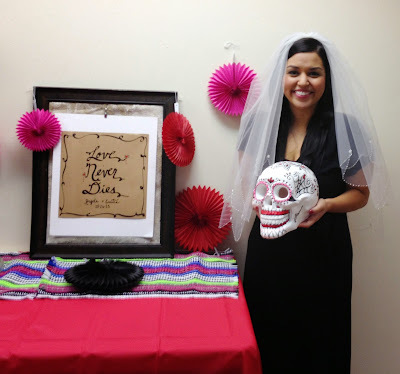 Just to make it a little more bridal, I used my own wedding veil to decorate the skull and forced the future bride (such a good sport) to put it on for a couple pictures! 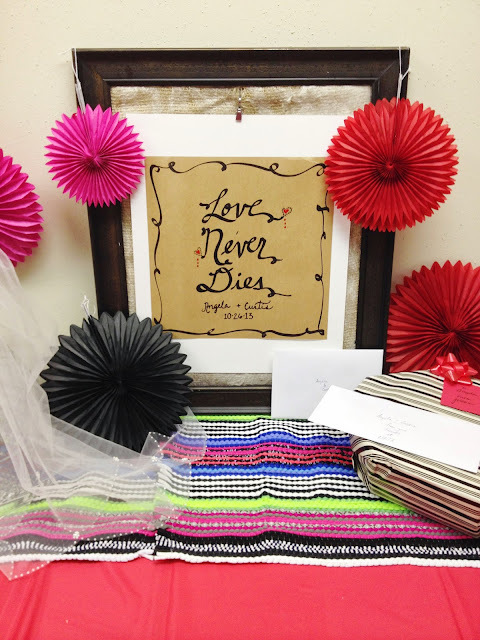 Those brightly colored mats and sparkly skeletons are from the Dollar Tree. The red tablecloth and tissue fan decorations are from Hobby Lobby.